A big thank you to Mr Thomas for bringing the girls from RGS Infocomm Club down! 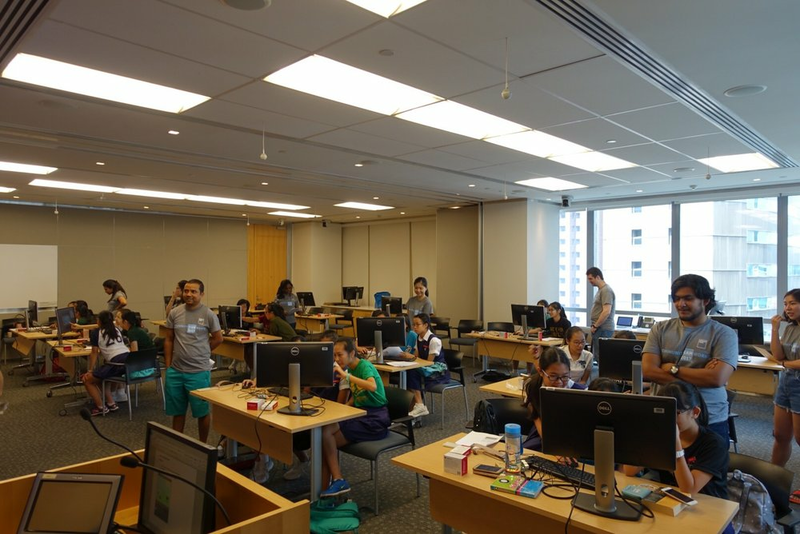 Last Saturday, 21C Girls invited more than 20 girls from Raffles Girls School's Infocomm Club to participate in a technology coding program at Goldman Sachs! The collaboration with Goldman Sachs was made possible by their staff volunteers coming down to conduct a hands-on introduction to integration hardware and software. For this program, the girls tinkered with the Raspberry Pi! The workshop presented the girls with the opportunity to assemble their very own Raspberry Pi computer, and hook it up with other peripherals like the monitor screen, mouse, keyboard and breadboards. By the end of the day, the girls were able to confidently program their electronic hardware using the Raspberry Pi's Scratch interface. Congratulations girls! We are glad to be able to partner with Goldman Sachs to further develop the technological skills of our girls of the 21st century!